Moreover, she writes, "There's usually a story line behind my music; a scenario or character." While the enjoyment of her works can be obtained solely from her music, the composer's program notes enhance the listener's experience, for they describe how a piano part mimics a marimba or pan-pipes, or how a movement is based on a particular type of folk song, where the singer is mockingly crying. Even a brief glance at her titles evokes specific imagery: Leyendas (Legends): An Andean Walkabout; Cuentos Errantes (Wandering Songs); and La Llorona (The Crying Woman): Tone Poem for Viola and Orchestra. Frank’s compositions also reflect her virtuosity as a pianist — when not composing, she is a sought-after performer, specializing in contemporary repertoire. Winner of a Latin Grammy and nominated for Grammys as both composer and pianist, Gabriela also holds a Guggenheim Fellowship and a USA Artist Fellowship given each year to fifty of the country’s finest artists. Her work has been described as “crafted with unself-conscious mastery” (Washington Post), “brilliantly effective” (New York Times), “a knockout” (Chicago Tribune) and “glorious” (Los Angeles Times). Gabriela Lena Frank is regularly commissioned by luminaries such as cellist Yo Yo Ma, soprano Dawn Upshaw, the King’s Singers, and the Kronos Quartet, as well as by the talents of the next generation such as conductor Yannick Nézet-Séguin of the New York Metropolitan Opera and Philadelphia Orchestra. She has received orchestral commissions and performances from leading American orchestras including the Chicago Symphony, the Boston Symphony, the Philadelphia Orchestra, the Atlanta Symphony, the Cleveland Orchestra, and the San Francisco Symphony. In 2017, she completed her four-year tenure as composer-in-residence with the Detroit Symphony under maestro Leonard Slatkin, composing Walkabout: Concerto for Orchestra, as well as a second residency with the Houston Symphony under Andrés Orozco-Estrada for whom she composed the Conquest Requiem, a large-scale choral/orchestral work in Spanish, Latin, and Nahuatl, the language of the Aztecs. Frank’s most recent premiere is Apu: Tone Poem for Orchestra commissioned by Carnegie Hall and premiered by the National Youth Orchestra of the United States under the baton of conductor Marin Alsop. In the season of 2019-20, Fort Worth Opera will premiere Frank’s first opera, The Last Dream of Frida (with a subsequent performance by co-commissioner San Diego Opera) utilizing words by her frequent collaborator Pulitzer Prize winning playwright Nilo Cruz. Gabriela Lena Frank is the subject of several scholarly books including the W.W. Norton Anthology: The Musics of Latin America; Women of Influence in Contemporary Music: Nine American Composers (Scarecrow Press); and In her Own Words (University of Illinois Press). 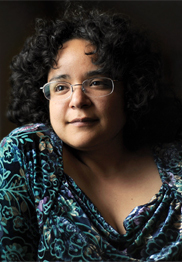 She is also the subject of several PBS documentaries including Compadre Huashayo regarding her work in Ecuador composing for the Orquestra de Instrumentos Andinos comprised of native highland instruments; and Música Mestiza, regarding a workshop she led at the University of Michigan composing for a virtuoso septet of a classical string quartet plus a trio of Andean panpipe players. Música Mestiza, created by filmmaker Aric Hartvig, received an Emmy Nomination for best Documentary Feature in 2015. Civic outreach is an essential part of Frank’s work. She has volunteered extensively in hospitals and prisons, with a recent project working with deaf African-American high school students in Detroit who rap in sign language. In 2017, Frank founded the Gabriela Lena Frank Creative Academy of Music, a non-profit training institution that offers emerging composers short-term retreats at Gabriela’s two farms in Mendocino County, CA. Over two visits, participants receive artistic and professional mentorship from Gabriela as well as readings of works in progress by guest faculty master performers in advance of the works' public world premieres at the academy. In support of arts citizenship, the Academy also pairs participant composers and faculty performers with underrepresented rural communities in a variety of projects such as working with students at the Anderson Valley Junior/Senior High enrolled in basic music composition class. During the 2018-2019 season, Frank leads four composer residencies across the US, including performances of her recent works as well as large-scale commissions: composer-in-residence with Philadelphia Orchestra through 2021, visiting artist-in-residence with Vanderbilt University, a composer residency with the Pensacola Symphony Orchestra, and is the featured composer for the Orchestra of St. Luke’s Music in Color concert series. In 2017, Frank founded the Gabriela Lena Frank Creative Academy of Music in Boonville, CA which provides mentorship, readings-to-premieres residencies, and commissions for emerging composers from diverse backgrounds in addition to fostering public school programs in low-arts rural public schools. Frank attended Rice University in Houston, Texas, where she earned a B.A. (1994) and M.A. (1996). She studied composition with Sam Jones, and piano with Jeanne Kierman Fischer. At the University of Michigan, where she received a D.M.A. in composition in 2001, Gabriela studied with William Albright, William Bolcom, Leslie Bassett, and Michael Daugherty, and piano with Logan Skelton. She currently resides in Boonville, a small rural town in the Anderson Valley of northern California, with her husband Jeremy on their mountain farm, has a second home in her native Berkeley in the San Francisco Bay Area, and travels frequently in South America. For specific inquiries about this composer, please contact Rachel.Sokolow@schirmer.com, or call 212-254-2100.